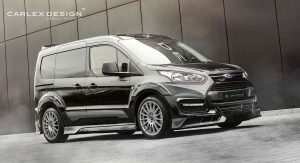 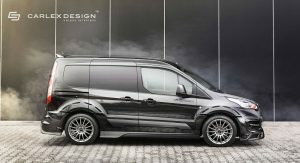 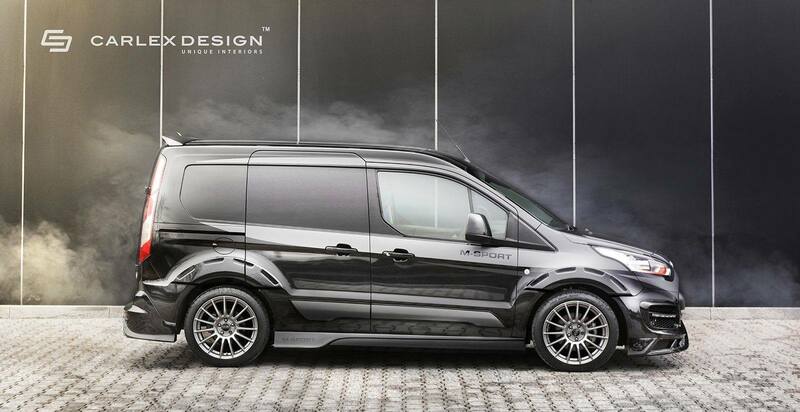 One of the world’s most recognizable vans, the Ford Transit, has just received a healthy dose of added flair thanks to Polish interior specialists Carlex Design. 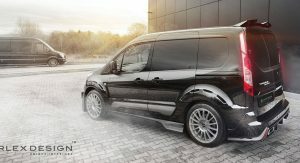 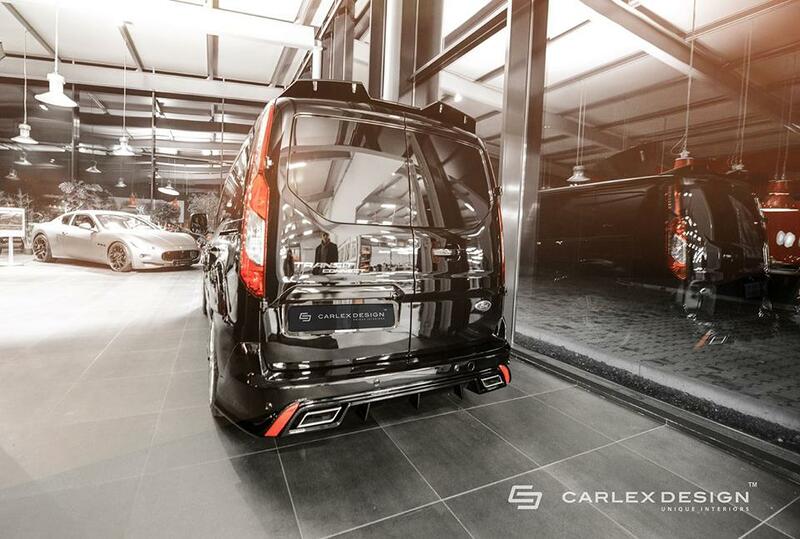 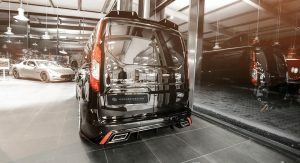 This particular Transit is a small Connect model and is different from most other Carlex projects as the interior upgrades are minimal while the exterior modifications are glaringly obvious. 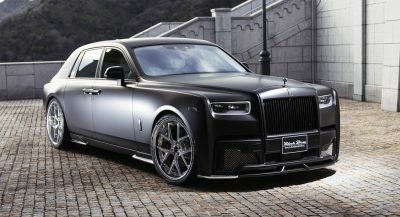 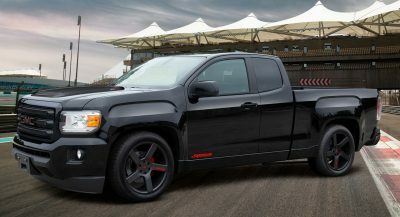 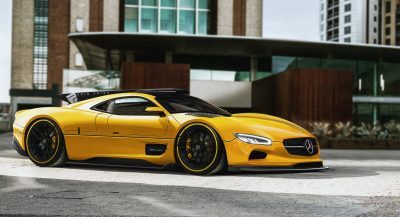 From the outside, the vehicle has been adorned with a bespoke bodykit that provides it with some much-needed aggression and road presence. 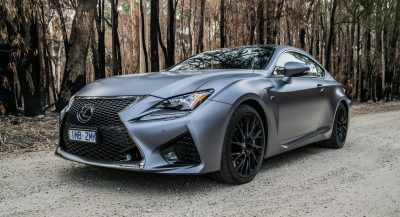 At the front, the kit includes reshaped air intakes and horizontal LED daytime running lights as well as a new lower splitter element helping to create quite a sporty look. 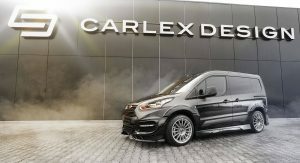 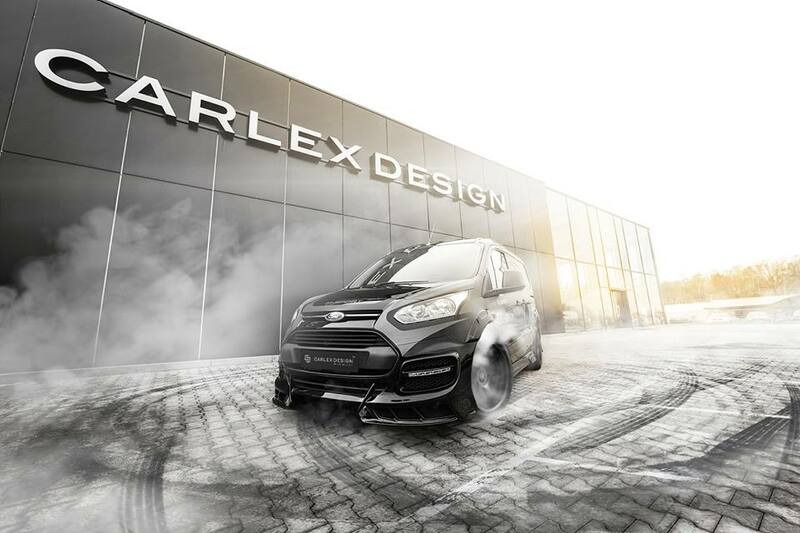 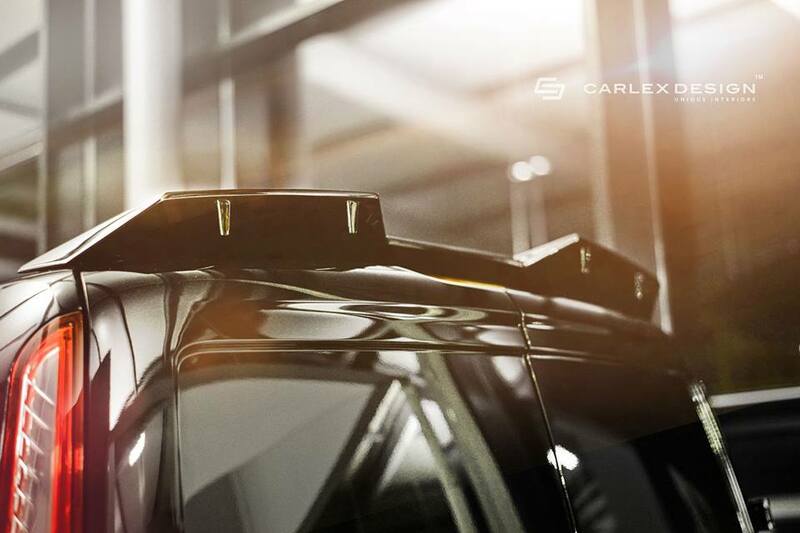 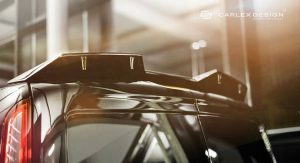 At the side, Carlex has installed a set of bulging wheel arches as well as a set of custom wheels and extended side skirts. 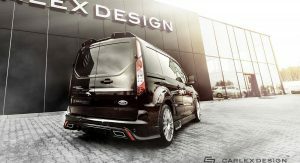 The exterior changes are completed at the rear with a large rooftop spoiler, redesigned bumper, rectangular dual tailpipes and a bold diffuser. 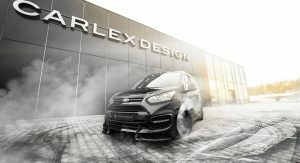 While no interior pictures have been released, Carlex says it includes a range of new leather upholstery and a customised steering wheel. 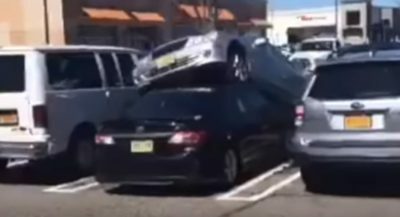 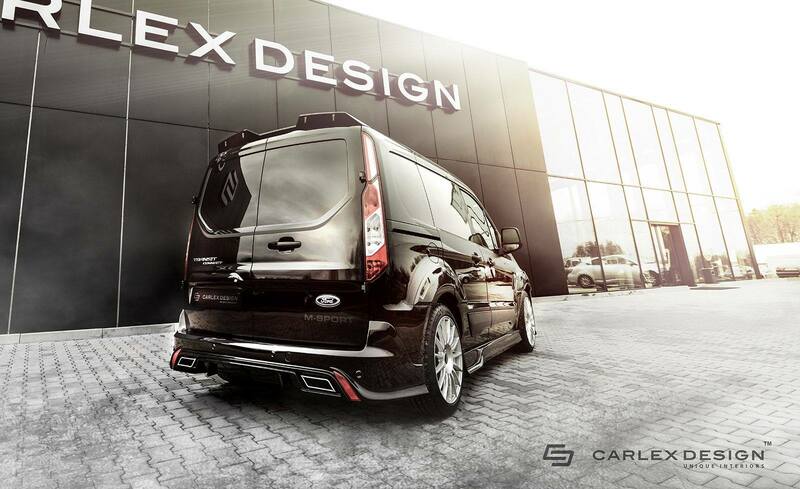 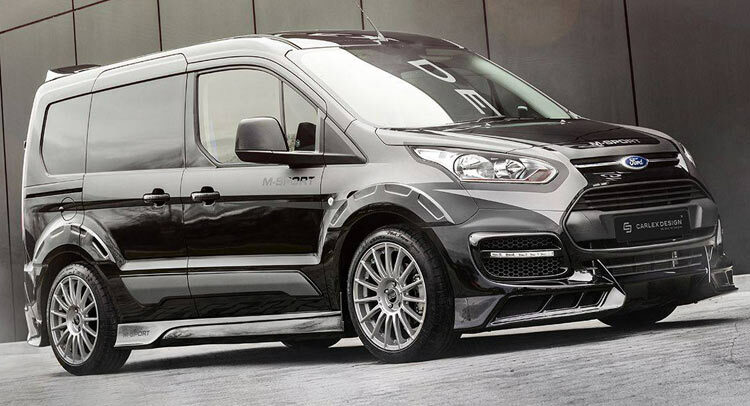 Sales of the bodykit will commence shortly, initially just for the British market.